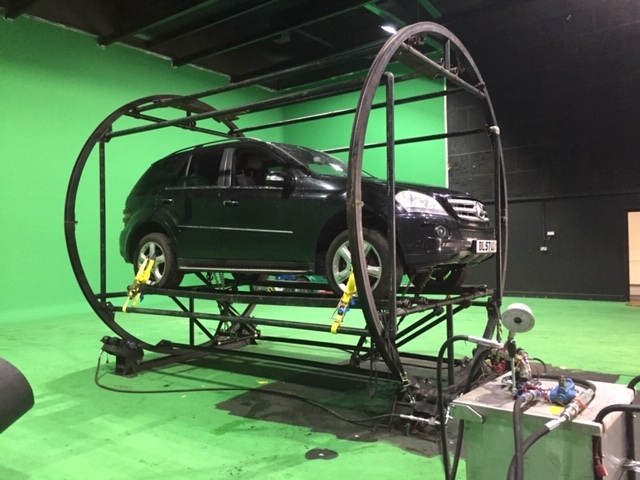 The car rotating” Spit Roast Rig” allows the simulation of a vehicle rolling with the opportunity to have the cast inside & therefore archiving close up shots both from a bonnet mount and or door mount, enabling these elements to be cut into the final cut of the stunt sequence. 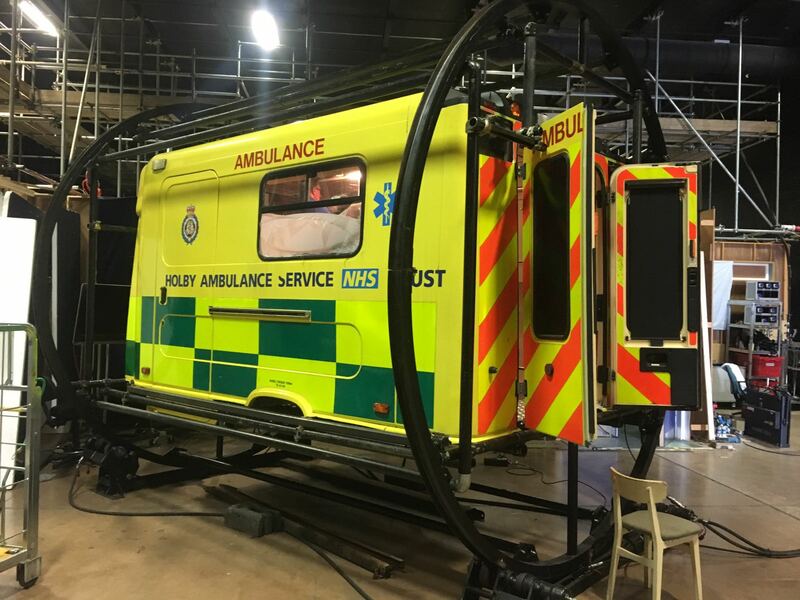 The vehicle is secured inside the rig, with the cast then positioned within the vehicle and held safely within by means of a full stunt harness. The Rig can be run Variable Speeds. 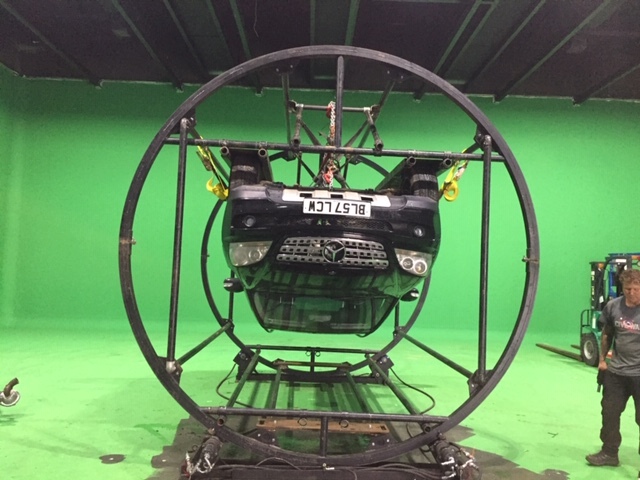 During sequences involving cast within the rotating vehicle a stunt coordinator must be present.